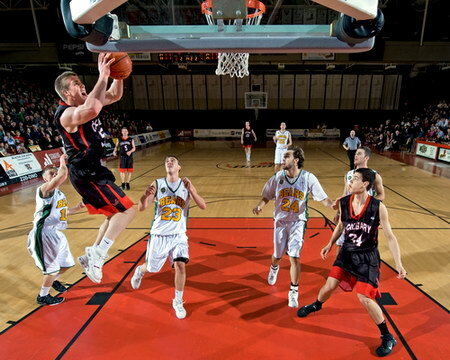 Basketball is one of the most popular ball games. The basic rule of this game - to try to throw the ball into a basket of the opposing team and not to allow the players of the other team to throw it to your basket. In 1936, basketball was included in the Olympic program. A little later it was startes to hold regular world championships for men and women. For men they started in 1950 and for women since 1953. European basketball championship began in 1935. Matches under the auspices of NBA consist of four halves of 12 minutes clean time every, and FIBA - International Federation of amateur basketball - 4 halves of 10 minutes. The draws are not provided in the basketball game. If the draw has occured during the regular time - extra timeof additional five minutes is appointed until one of the teams wins. Only one exception is possible - when the cup held two meetings, then the first draw of them can be attributed and the result will be determined in the second game. Europe hosts international basketball competitions on club teams, namely: European Cup, Challenge Cup, Euroleague, VTB United League. This game is very popular in the USA, where one of the strongest basketball world championships - National Basketball Association (NBA) Championship is held.